Common ragworms bury seeds of cordgrass for future use: when the seeds have germinated, the worms eat the sprouts. Sprouting seeds is a newly discovered gardening strategy in animals, as Zhenchang Zhu and colleagues point out. The seeds of cordgrass, Spartina species, are protected by husks that make them inedible for the common ragworm, Hediste diversicolor. Yet these worms take the trouble to drag the large seeds to their burrows and pull them inside. This is deliberate behaviour, according to Zhenchang Zhu and colleagues. The buried seeds will germinate and the worms can eat the sprouts. 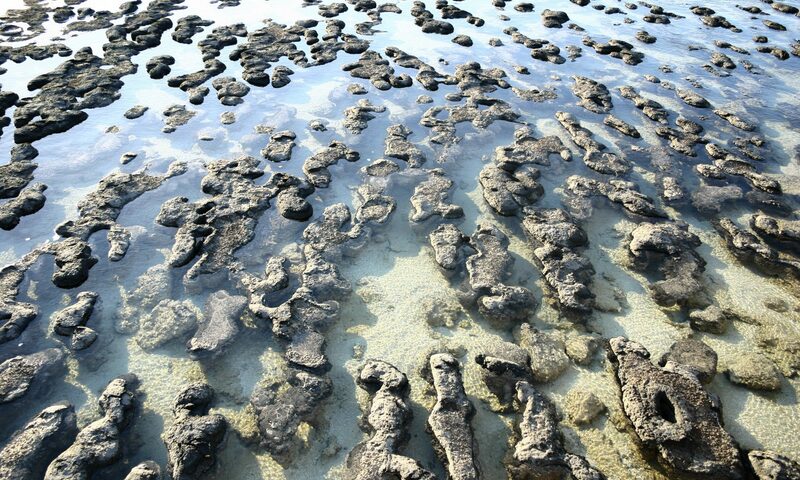 In fact, the seeds are a nutritious dietary supplement for the ragworms, which feed mainly on low-quality sedimentary organic matter, because they are high in protein and vitamins. 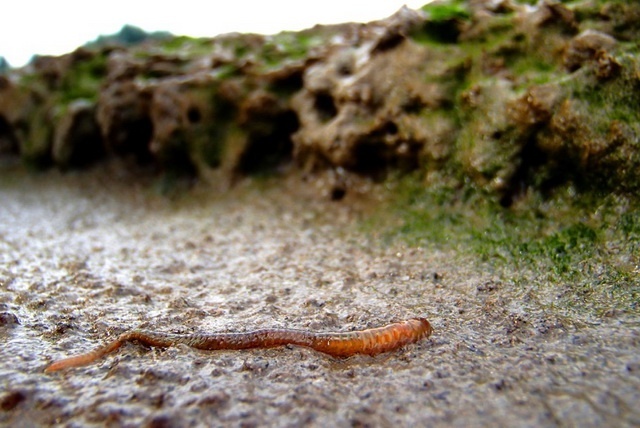 Common ragworms live in the seabed of intertidal flats. Each animal inhabits a self-made burrow in the sand or the mud.The species is native to the north-east Atlantic. In experiments, the researchers noticed that the ragworms wouldn’t eat intact cordgrass seeds. But if sprouted seeds were offered, they did eat them. Experiments also showed that the worms grew much better when given a diet including cordgrass sprouts than on a diet without sprouts. It is striking that they cache the seeds, because that behaviour pays off only in the long term. The cordgrass produces seeds from October to March, and these seeds will germinate from April until July. So, the worms have to wait a few weeks or months before their stored food supply will be usable. Sprouting seeds to consume the seedlings is a form of agriculture. More examples of agriculture in animals exist, such as the well-known fungus gardens of ants and termites. The sprouting strategy of common ragworms, however, differs from fungus gardening. While the fungus is the main food source for the ants and termites, the sprouts are a superior supplementary food for the ragworms: superfood instead of staple food. Also, a mutual relationship exists between termites or ants and the fungus they grow: the animals are dependent on their crop, but the fungus is also dependent on its growers. Common ragworms and cordgrass, in contrast, have a predatory relationship, as the cached seeds are eaten after germination. The ragworms may help in seed dispersal, though. Buried seeds will not be displaced by water currents, retain their viability and can produce new plants when the ragworm that cached them dies or is eaten itself. This often happens, as common ragworms have many predators: birds like avocets and curlews, and fish like plaice and sole. The authors suggest that common ragworms and their relatives may bury seeds of plants like seagrass and glasswort to sprout them as well.